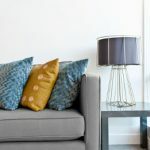 Couch cleaning is not only necessary for sanitary reasons, but can also help you enjoy your Winston-Salem home environment. 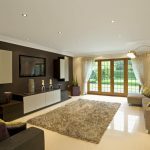 There are many people out there who don’t like the thought of having carpet in their homes because of the dirt, dust, and debris that can become embedded in the fibers. 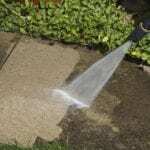 Those of us who suffer from allergies also worry because these same fibers can trap pollen, dander and other allergens. While cleaning carpets can help somewhat, another thing that needs regular cleaning in your home is your couch. Here at Steam Source, we believe that regular couch cleanings should be just as important as carpet cleanings for your Winston-Salem, North Carolina home. Comfortable couches make a home feel cozy and warm. While we love to curl up on a cozy couch with a good book, we might not be so keen to do so if it means cozying up with thousands of dust mites and allergens. At Steam Source, we have specialized couch cleaning methods that will not only get rid of those dust mites, but also make your couch look and smell fresh, clean, and like-new once again. Not only will our couch cleaning methods get your couch exceptionally clean, but you’ll also be happy to know that our methods involve no harsh chemicals, which means it is totally safe for our customers with pets and children. Additionally, you’ll be able to enjoy a cleaner indoor climate in your home with a clean couch. If you can’t remember the last time you had your couch cleaned or would love to get rid of that pesky spaghetti stain before your mother-in-law comes to visit, we would urge you to call us here at Steam Source for your next couch cleaning! 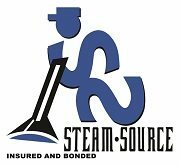 At Steam Source, we offer couch cleaning services in Winston-Salem, Greensboro, Kernersville, Clemmons, Advance, High Point, Mocksville, Pfafftown, Jamestown, Oak Ridge, Summerfield, Lexington, King, Walkertown, Colfax, Lewisville, Welcome, Bermuda Run, Thomasville, Yadkinville, and Walnut Cove, North Carolina.